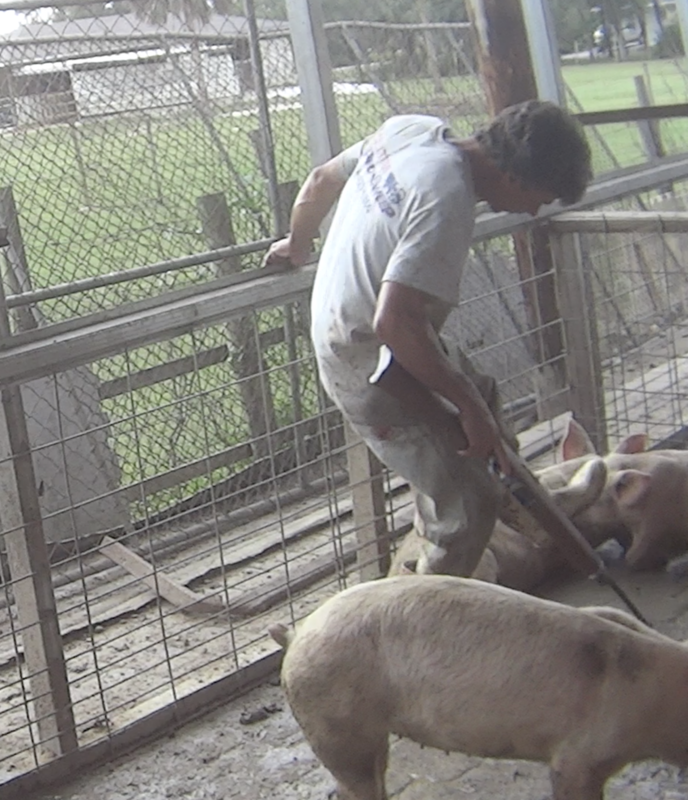 Investigations upon Rancho Anthony & Roman began in March of 2017 while ARM was actively undercover on nearby slaughter farms. 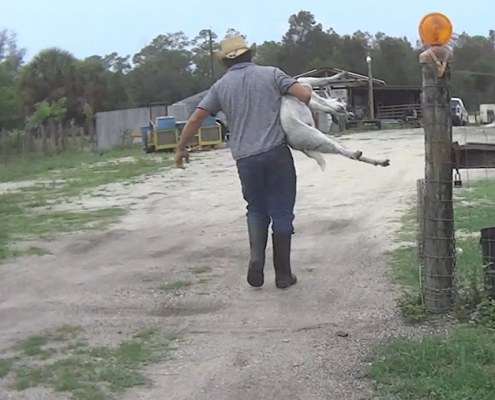 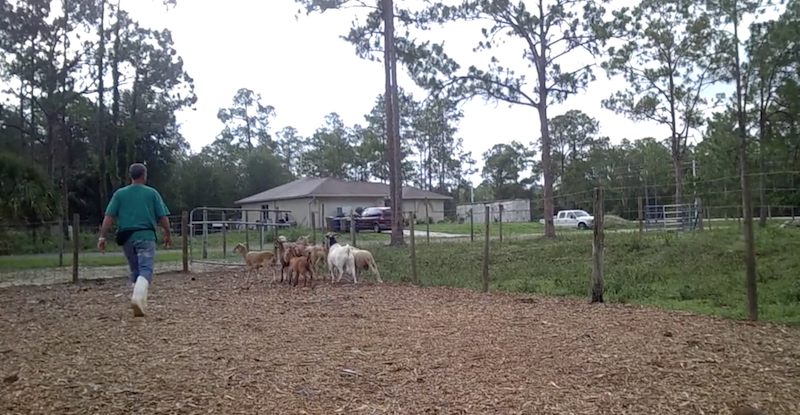 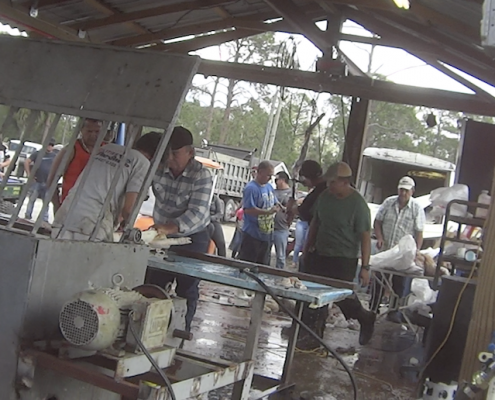 Located at 7300 Eastwood Acres, Fort Myers, Florida, Rancho Anthony & Roman, has been conducting the business of butchering and selling animals to the public, without a license, for years. 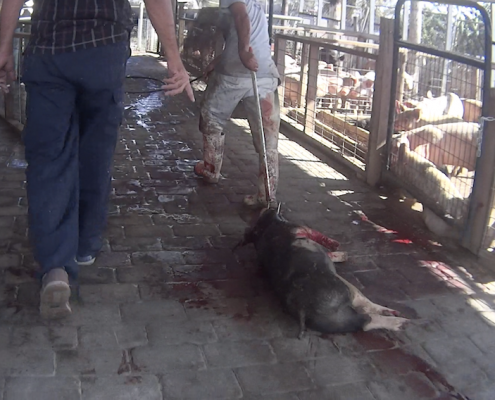 This slaughter farm can be seen in plain view, from nearby busy streets which passerby’s witness and hear the animals being slaughtered every day. 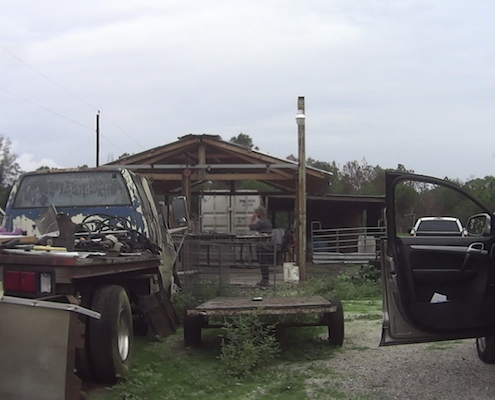 One of the most disturbing aspects of this particular case surrounds evidence that directly connects it’s operations to the nearby, Rancho Delicias – a notorious, and thriving, underground horse slaughter business. These operations are also being conducted over multiple county lines where horse killers and their suppliers are now migrating from Miami-Dade County to Lee County, due to the apparent lack of enforcement being taken in Lee County Florida. 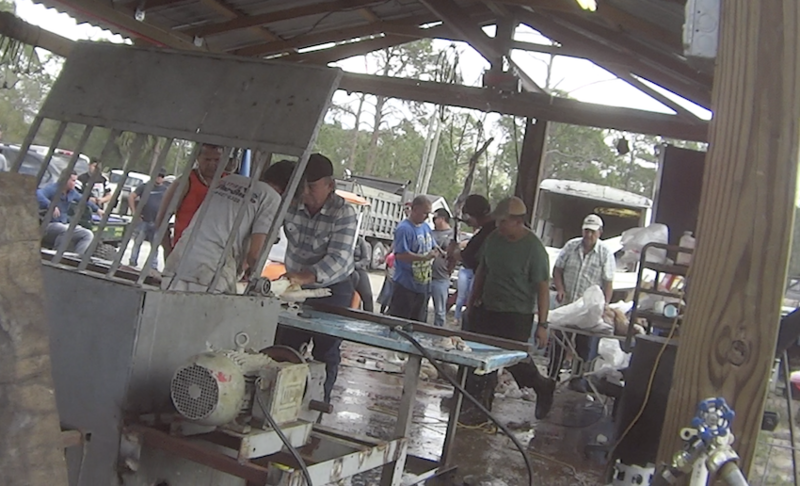 Horses are being killed and their meat illegally sold for human consumption. 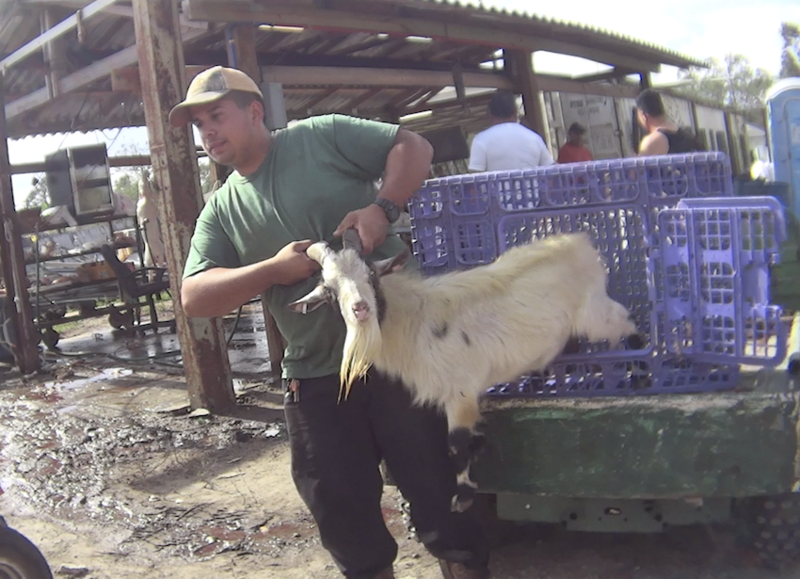 Animals are sold for religious sacrifice ceremonies. 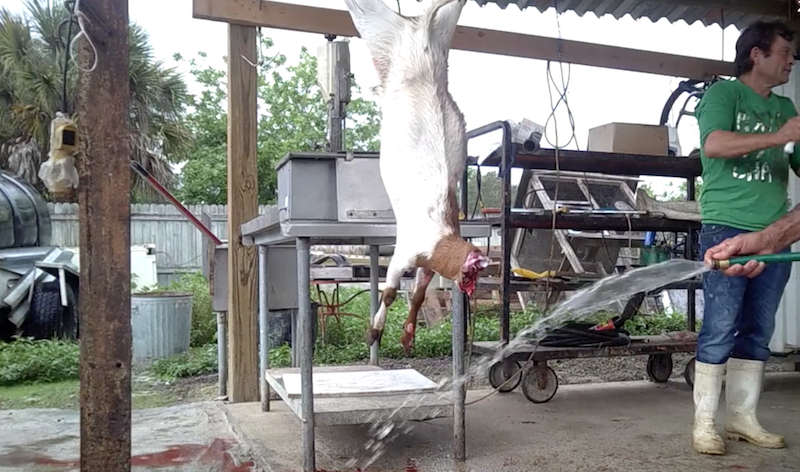 Animals are inhumanely restrained by their limbs, ears and gaff hooks and dragged over hundreds of feet to the slaughter area. 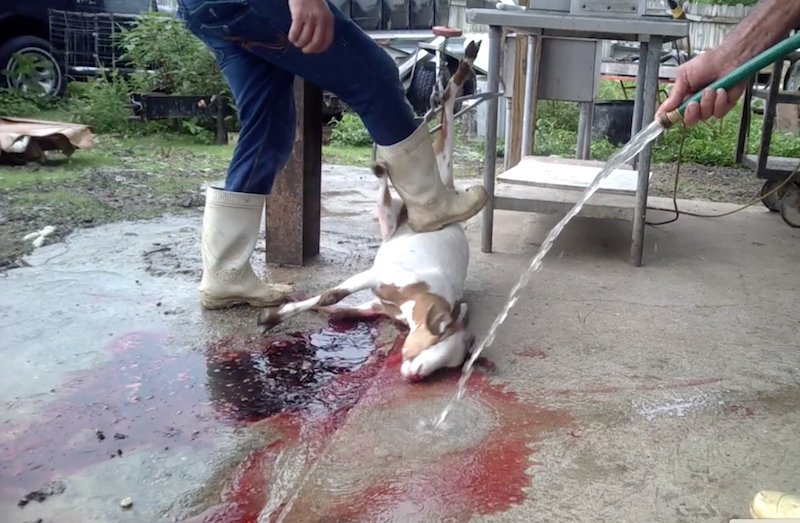 Unstunned, animals are stabbed, shot and have their throats slashed using dull blades. 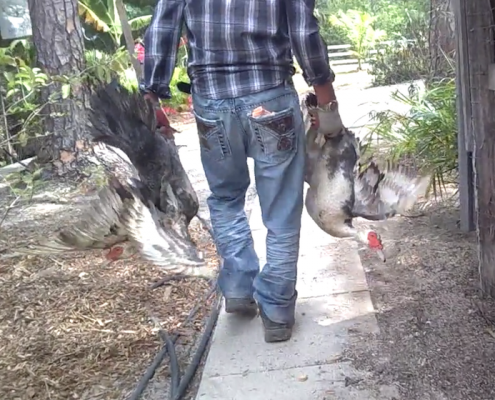 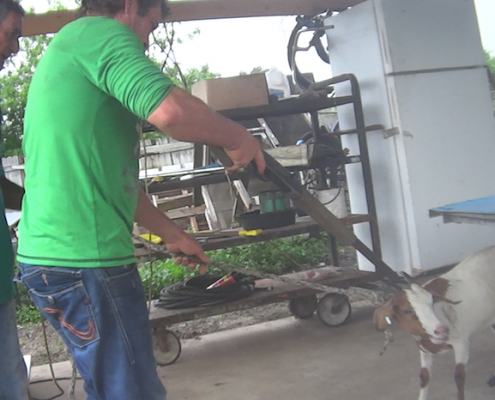 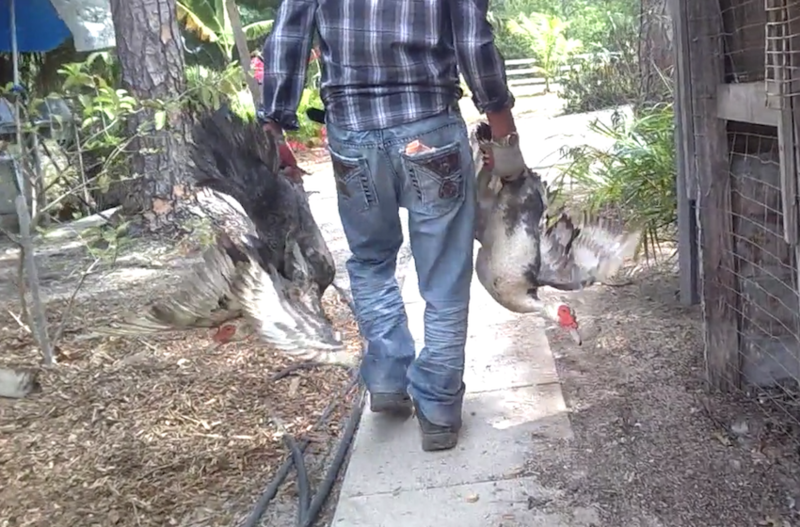 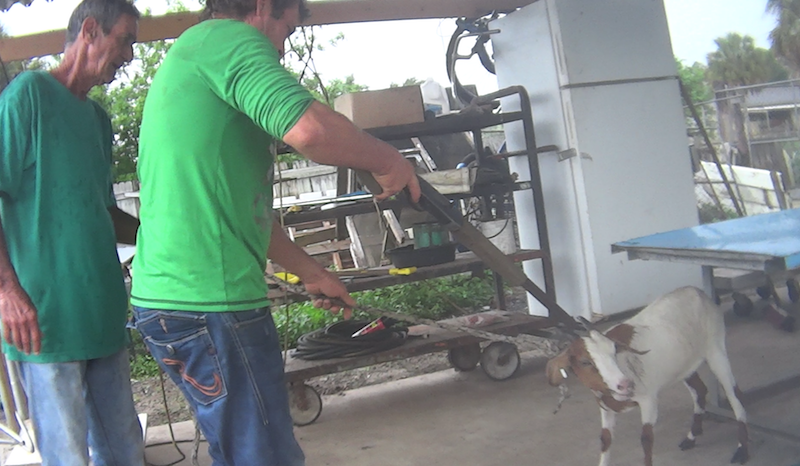 While conscious, animals are pierced through their limbs and hoisted with metal hooks. 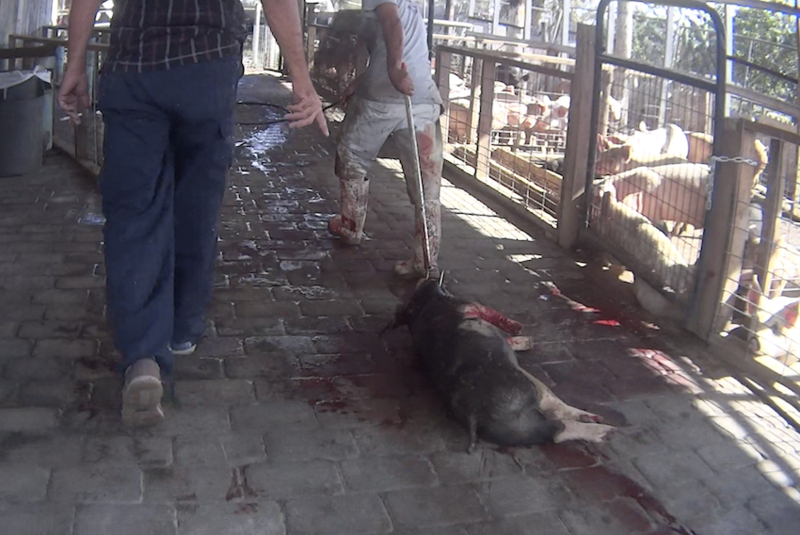 The animals are then skinned alive. 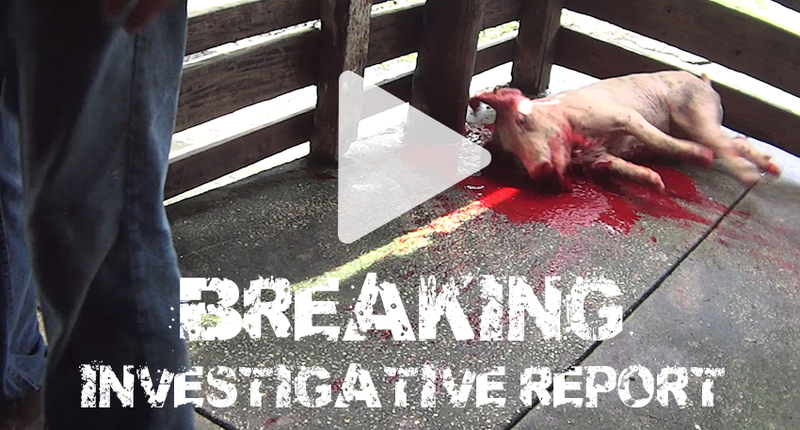 Footage obtained by ARM, exposed the butchers cutting off male reproductive organs with a knife, while still alive. 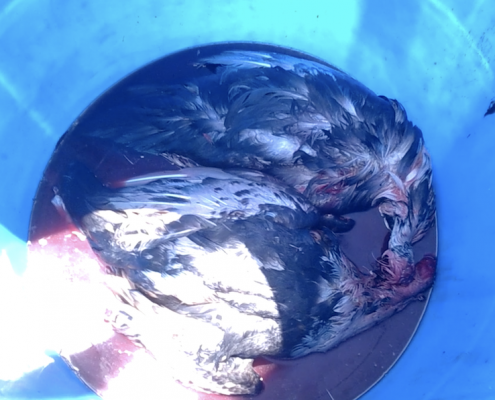 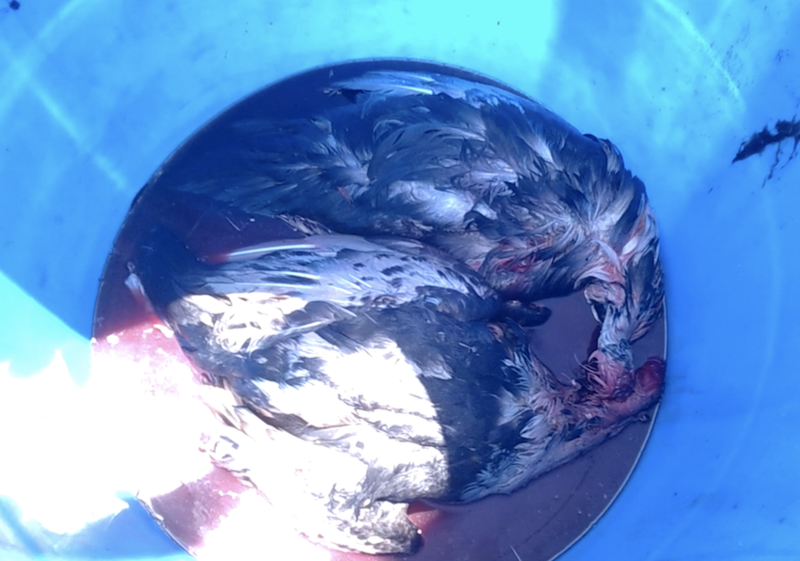 Ducks and birds are killed by slashing their throats incompletely and thrown into a large plastic barrel with other birds. 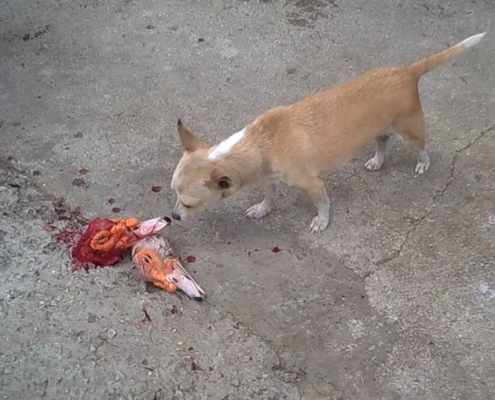 The birds frantically flail around in pools of blood until they die. 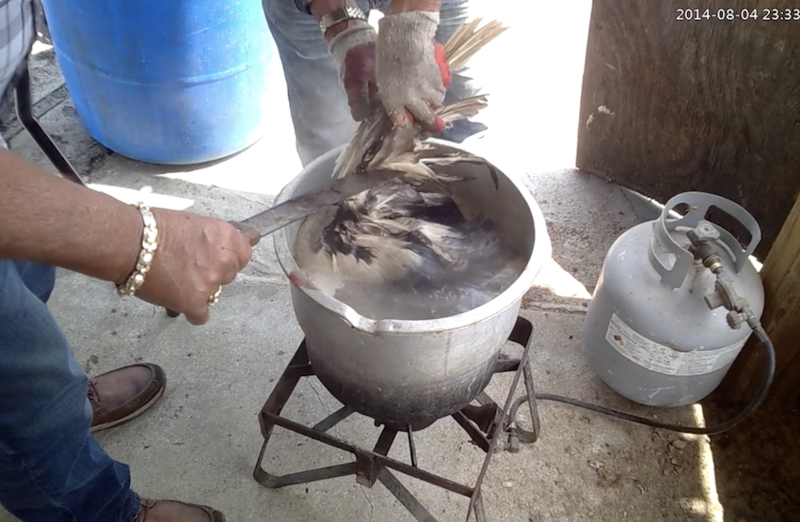 Birds are thrown into vats of boiling water and forced under until they drown, while still alive. 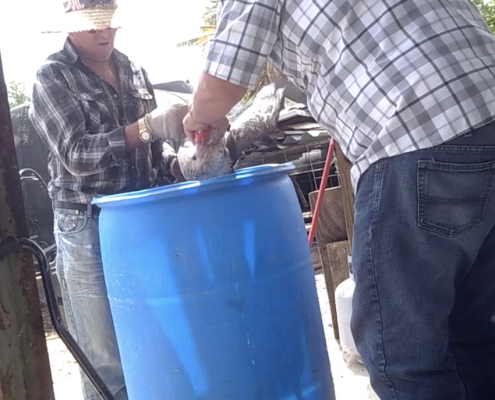 Workers pluck the bird’s feathers, by hand, while the animals are still alive and conscious. 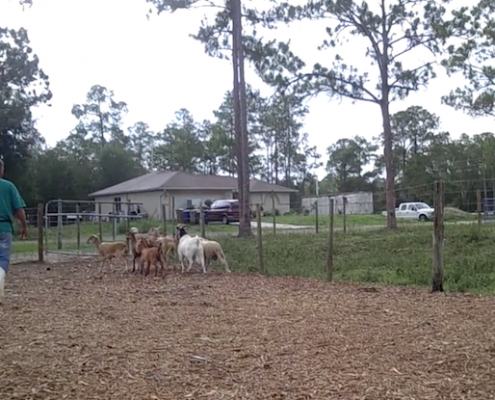 Investigators documented the animals as being grossly neglected, malnourished and showing possible signs of infections and disease. 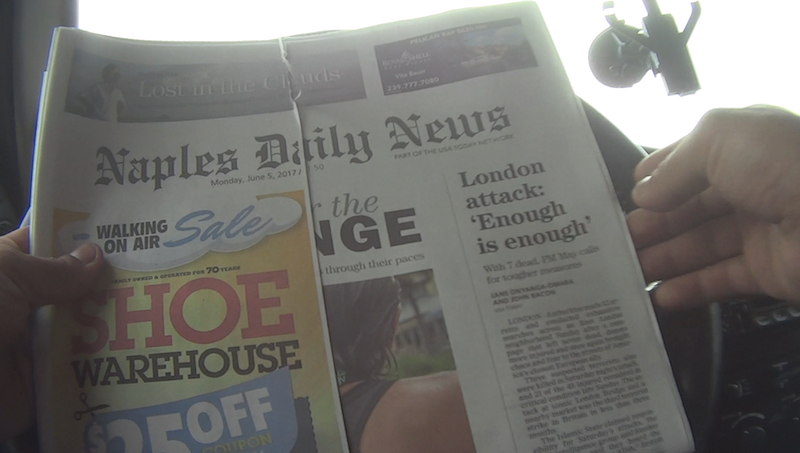 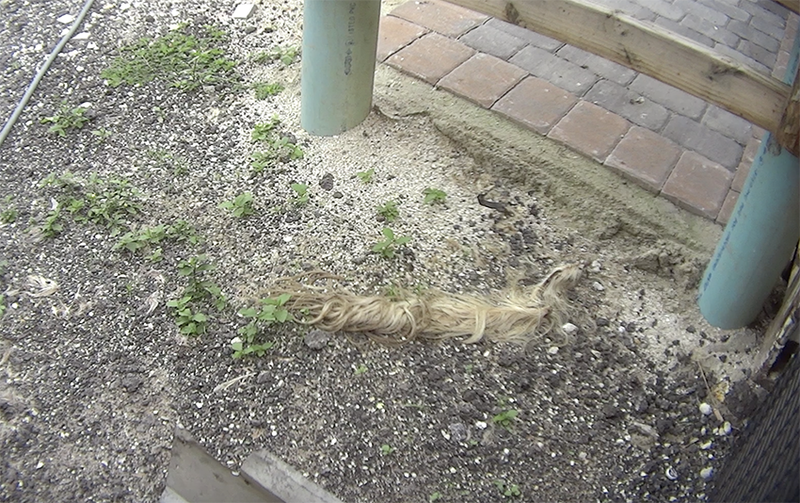 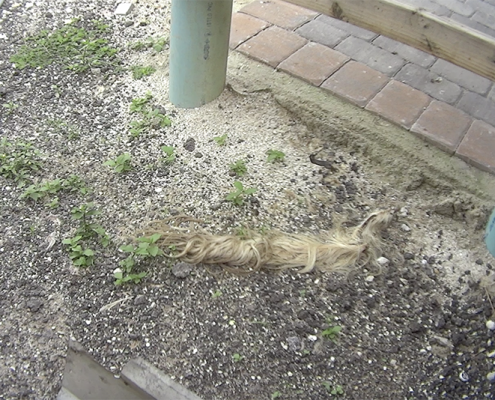 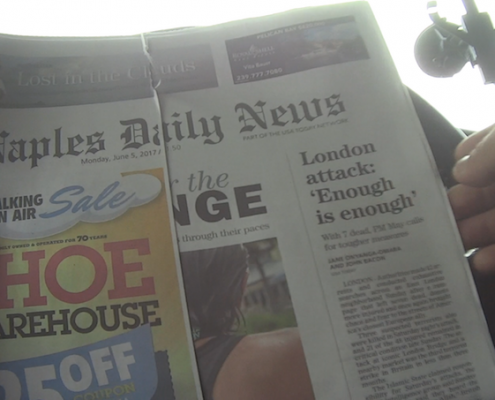 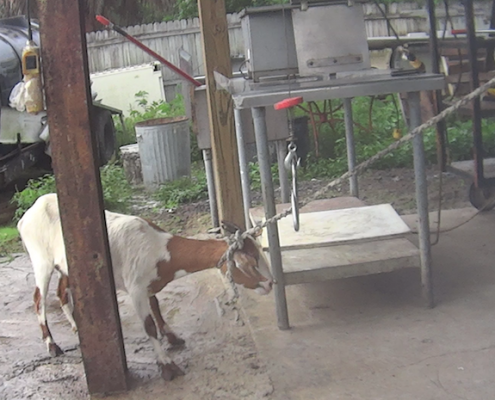 Upon multiple visits, investigators documented an absence of fresh water and food. 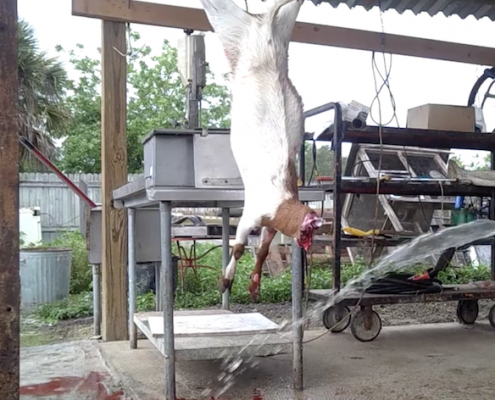 Minors, under the age of ten, are often forced to witness the brutal slaying and mistreatment of animals, even when the children are clearly traumatized by the disturbing acts they are witnessing. 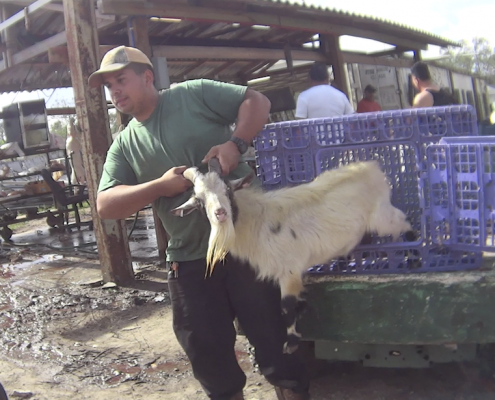 The methods and slaughter procedures which are being conducted at Rancho Santa Barbara are in gross violation of the Humane Slaughter Act. 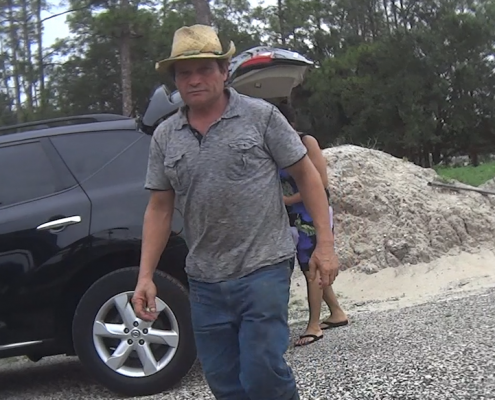 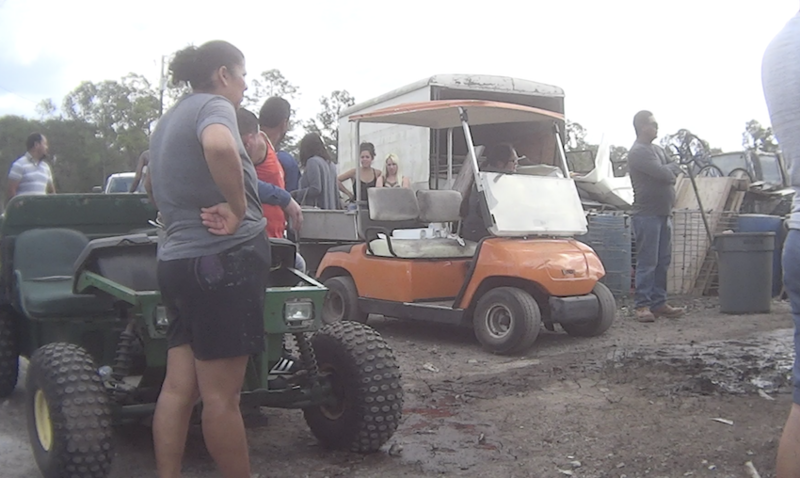 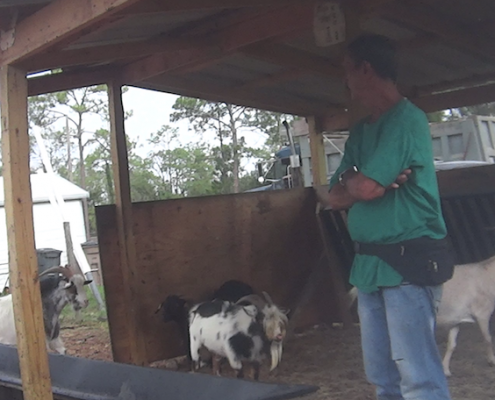 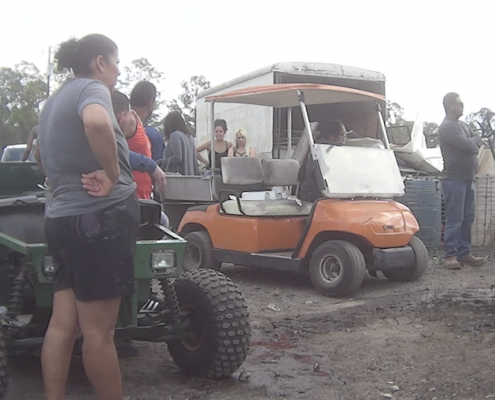 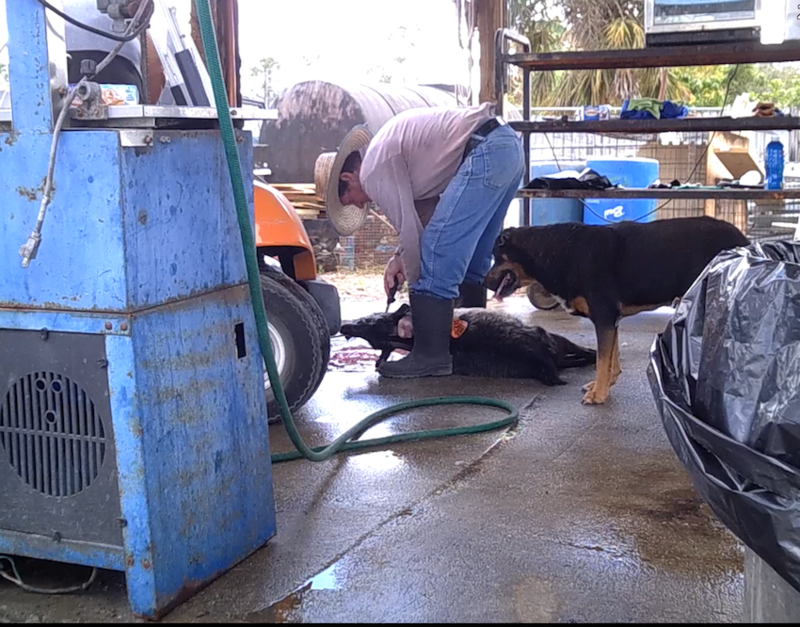 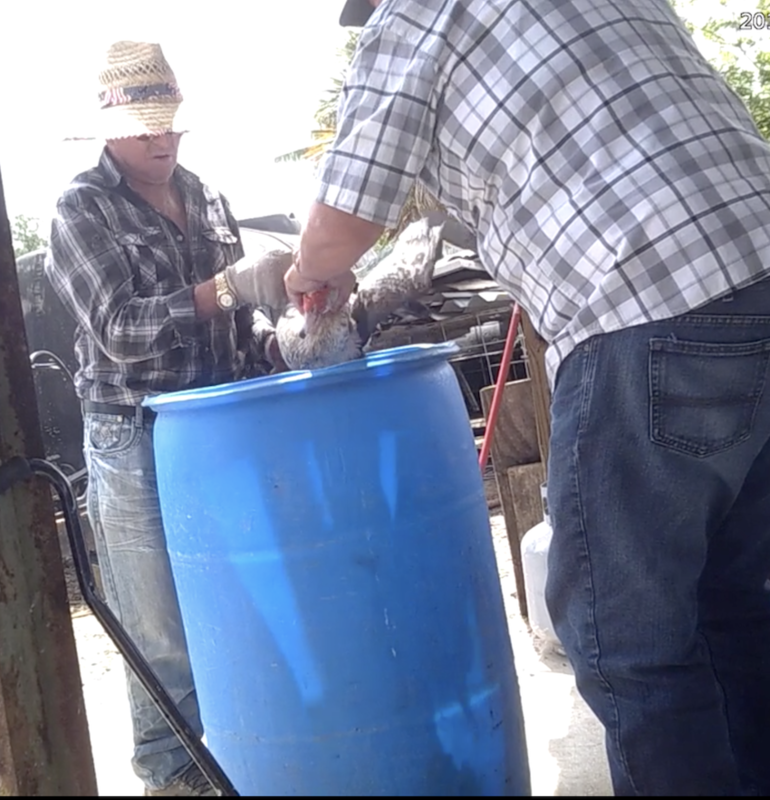 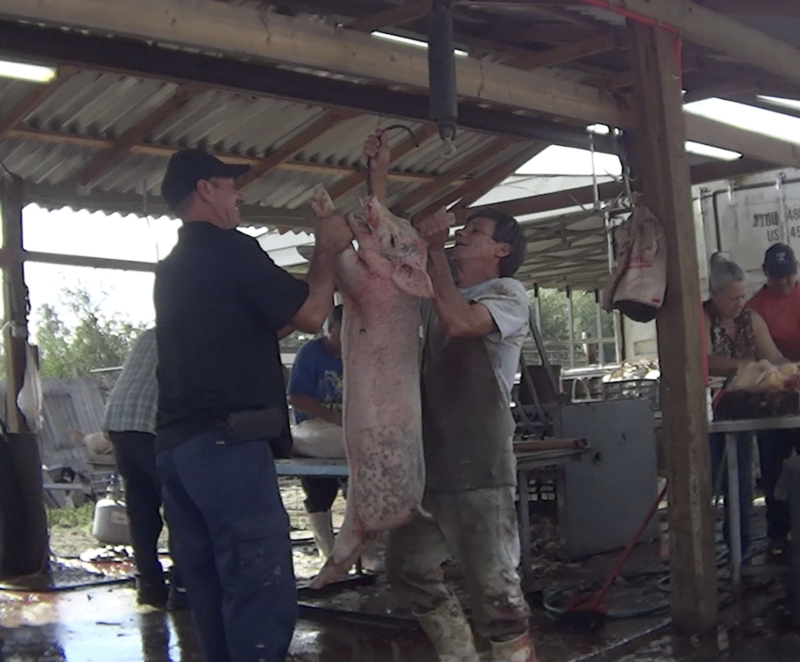 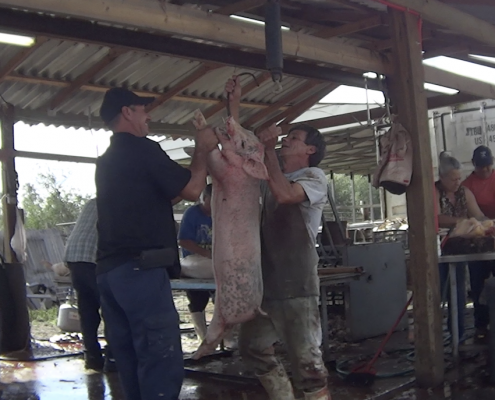 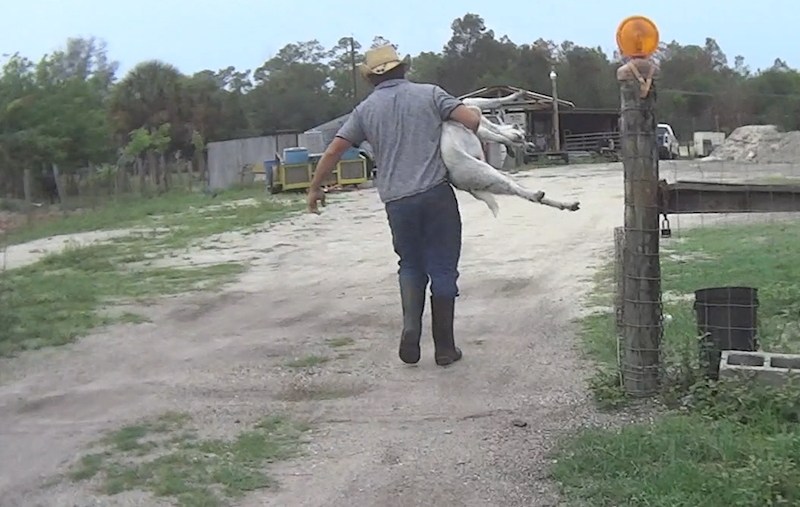 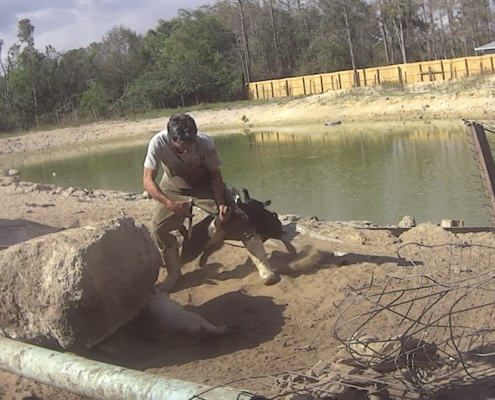 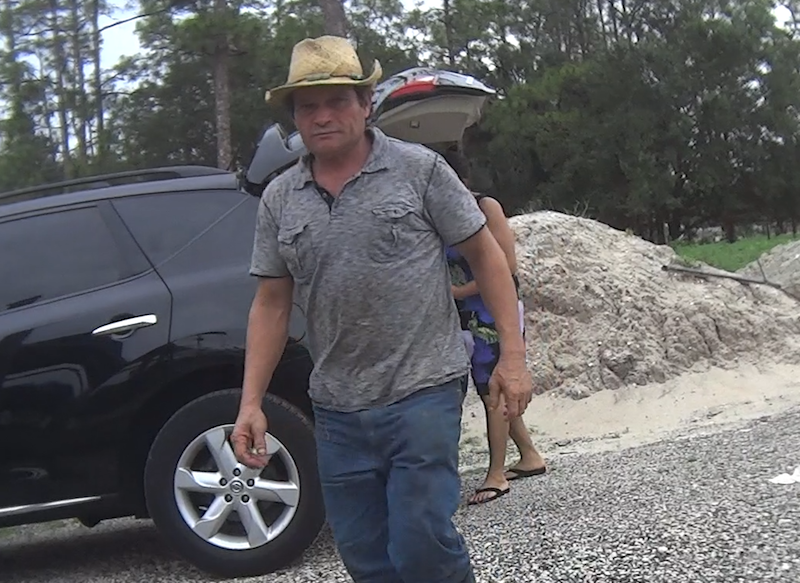 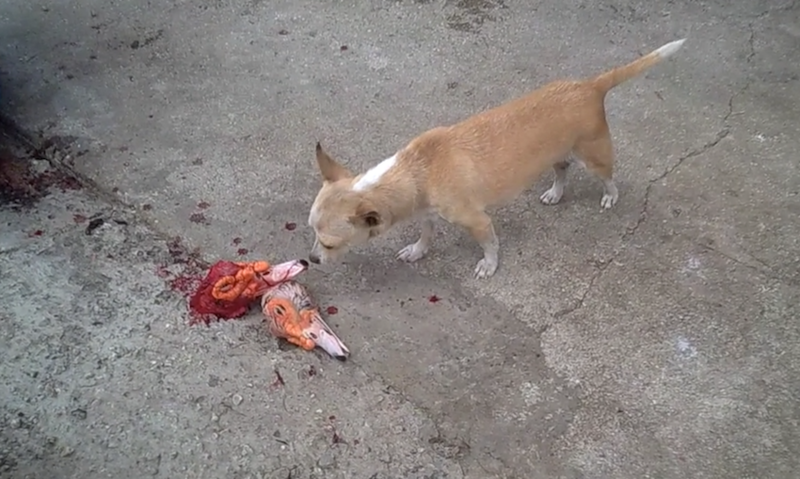 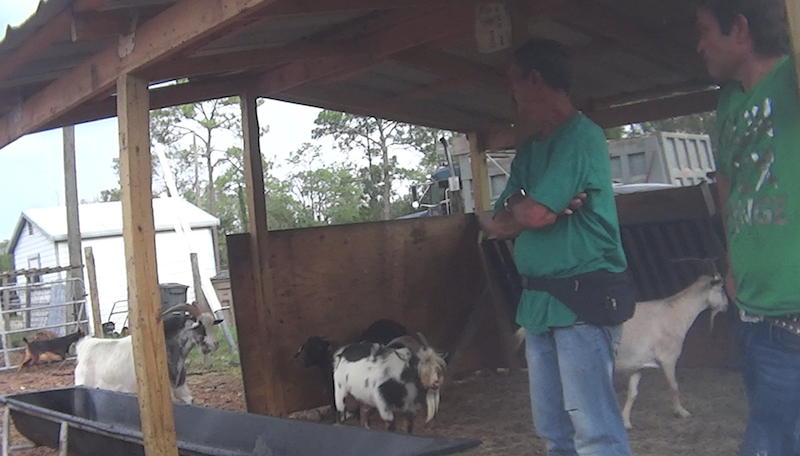 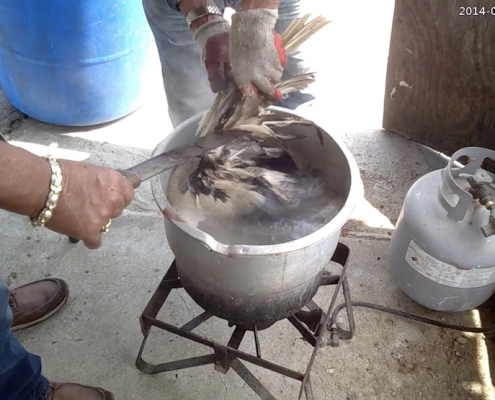 Present during the slaughtering, ARM has documented the owner of the operation, Roman Hernandez, as being well aware of the animal cruelty that is occurring on his property. 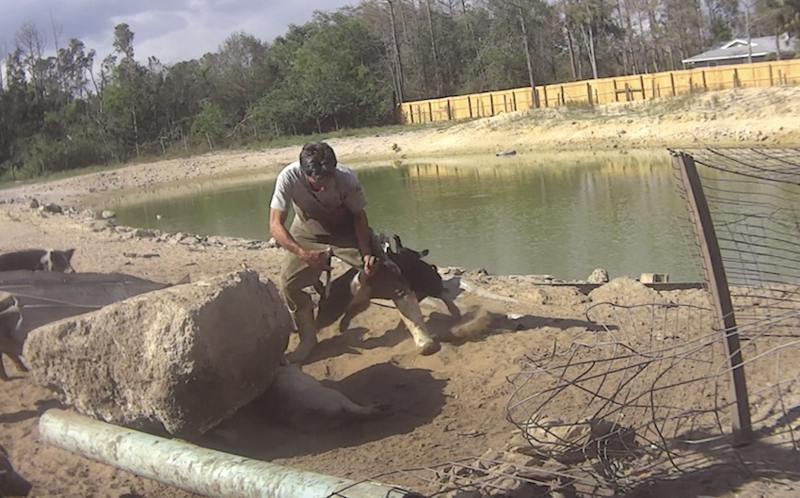 At no time has he intervened or corrected any of the workers for the inhumane felony acts upon the defenseless, screaming animals. 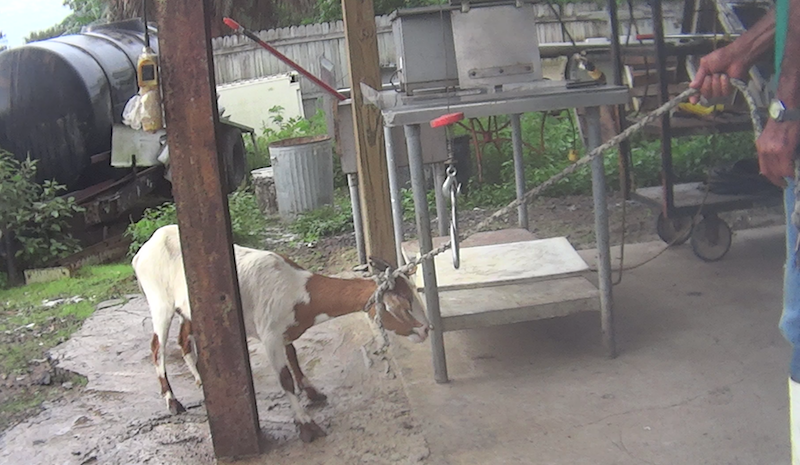 On multiple occasions, investigators witnessed customers using their cell phones to photograph and video the butchering and torture of these animals. 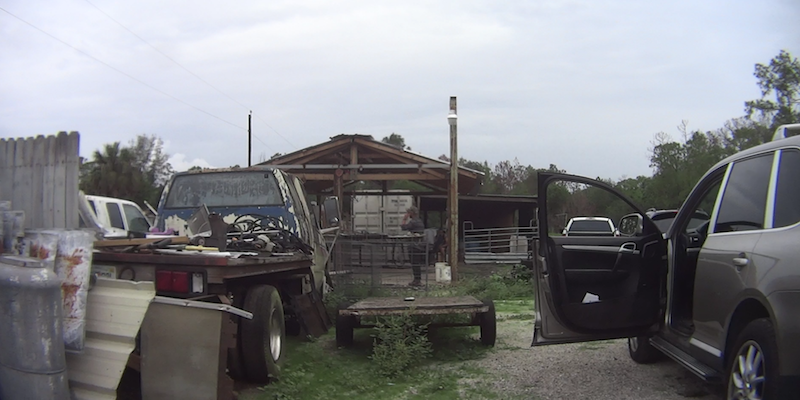 During its operation, ARM revealed that the career criminals committing the crimes at Rancho Anthony & Roman, not only work but residing onsite.